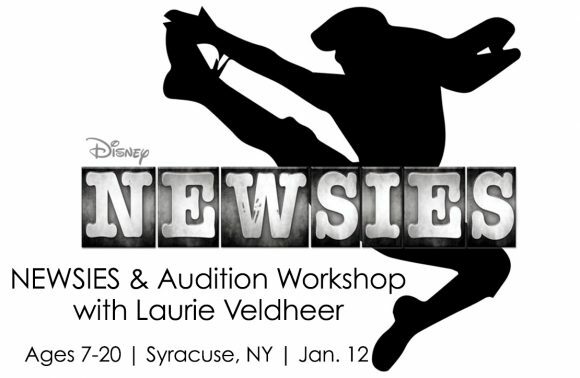 A Class Act NY can bring Broadway caliber training to wherever you are in the USA! Our one day workshops have gone to Florida, New Jersey, Pennsylvania, New Hampshire, Kentucky, and might be coming to a city near you very soon! If you’re interested in bringing a one day workshop to your hometown, please call 212.315.3010 or email info@aclassactny.com for more information. SOLD OUT! Email us at info@aclassactny.com to join the waitlist now! Ages 7 – 18! Monday Jan. 15 (MLK Day, No School)! 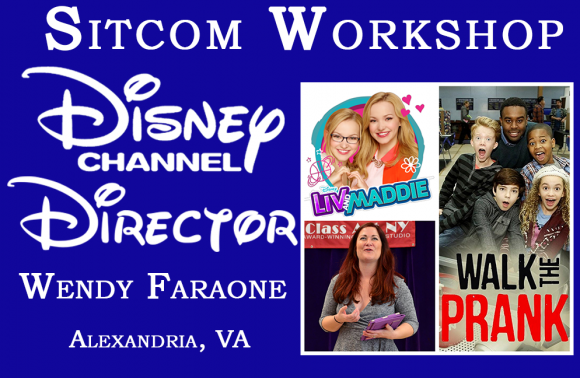 Part 1: Join a Broadway Star of WICKED for a one-day musical theatre WICKED themed workshop! Participants will learn a WICKED song and dance combo from a Broadway Star who will also host a lively Question and Answer Session about their experience in this long-running, beloved musical! The WICKED Star will be signing autographs and taking pics with students, so bring your playbills! Part 2: Even if you don’t want to go pro, a top NYC talent manager will offer helpful feedback and coaching on mock auditions and will teach participants how to snag a coveted role in a school, community theatre or professional production! The Top NYC Talent Manager is always on the lookout for fresh faces and kids have been picked up from past workshops! All Skill Levels | Ages 7 – 18 | Monday, Feb. 19 (Presidents Day, No School)! 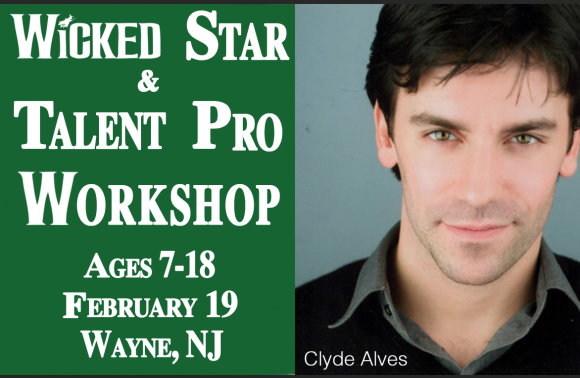 Learn a WICKED Song and Dance Combo with WICKED Star, Clyde Alves (WICKED, ON THE TOWN, BULLETS OVER BROADWAY, NICE WORK IF YOU CAN GET IT, ANYTHING GOES, HAIRSPRAY, OKLAHOMA, and MUSIC MAN). Clyde will also treat students to an engaging Q&A and an autograph and photo session! Students will also work with top NYC Talent Manager, Stephanie Artuso of Shirley Grant Management on musical theatre audition technique. Stephanie will conduct mock auditions and offer insightful feedback and coaching. Class concludes with a showbiz Q&A. Join Broadway Star of HAMILTON, Andrew Chappelle (HAMILTON, MAMMA MIA! PRISCILLA QUEEN OF THE DESERT) for a one-day musical theatre HAMILTON theme workshop! 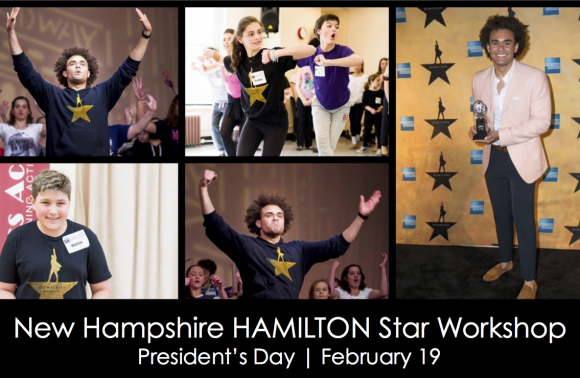 Andrew will teach lucky participants a song and dance combo from HAMILTON and also host a lively Question and Answer Session about his experience in this historic, revolutionary and inspiring American Tale! Andrew will also be signing autographs and taking pics with students, so bring your playbills! Kravis Center for the Performing Arts, 701 Okeechobee Blvd. Ages 7- 24! Thursday, April 26! Broadway’s smash hit, SCHOOL OF ROCK, has people rockin’ out in their seats! Come join us for an SOR workshop with SCHOOL OF ROCK’s own, Lulu Lloyd! Lulu is not only in SOR, she’s also the dance captain! St. Augustine’s Pierson Rehearsal Hall, 1227 4th St.
ACANY in Conjunction with KIDS on Stage LA Presents HAMILTON Workshop with HAMILTON Star, Andrew Chappelle. 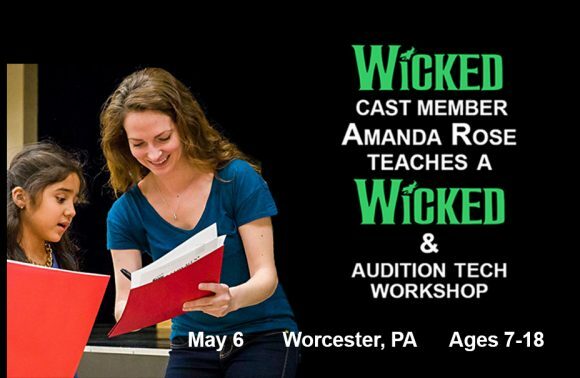 Join Broadway Cast Member of WICKED, Amanda Rose who played Nessarose on the Great White Way for a one-day musical theatre WICKED themed workshop! Participants will learn a WICKED song and dance combo from Broadway Cast Member, Amanda Rose and a professional Music Director. Amanda will also host a lively Question and Answer Session about her experience in this ‘popular’ musical and will be signing autographs and taking pics with students, so bring your playbills! Work one-on-one with Alexandre Bleau of Carnahan Casting and Roundabout Theatre Company, the casting office behind many beloved Broadway shows! In addition to singing and getting feedback on your 32-bar cut, Alexandre will offer his opinion on whether your song is a good choice for you and showcases your unique talent. Alexandre Bleau’s impressive list of Broadway credits includes HARRY POTTER AND THE CURSED CHILD, the upcoming MOULIN ROUGE, GROUNDHOG DAY, AMELIE, SKYLIGHT, CONSTELLATIONS, and THE RIVER and many UK, Old Globe, regional and national tour productions! 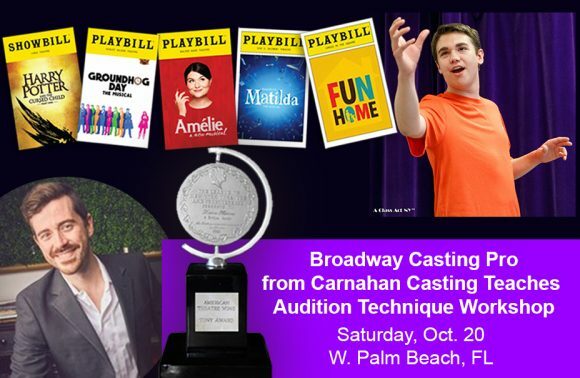 Carnahan Casting is also responsible for casting shows such as FUN HOME and MATILDA! Humble brag moment: Lots of our students starred in the Broadway and National Tours of these shows! Learn how to snag a coveted role in a Broadway Show or National Tour! 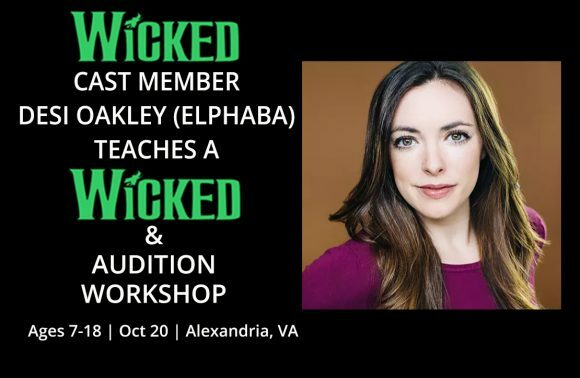 Join Broadway Cast Member of WICKED, Desi Oakley who played Elphaba & Nessarose on the Great White Way for a one-day musical theatre WICKED themed workshop! Participants will learn a WICKED song and dance combo with Broadway Cast Member, Desi Oakley and a professional Music Director. Desi will also host a lively Question and Answer Session about her experience in this ‘popular’ musical and will be signing autographs and taking pics with students, so bring your playbills! Whether you want to go pro or not, learn how to snag a coveted role in a local or professional production! Broadway Cast Member, Desi Oakley and our wonderful Music Director will offer helpful feedback and coaching on 16 bar cut mock auditions and will teach participants proper audition protocol and technique! 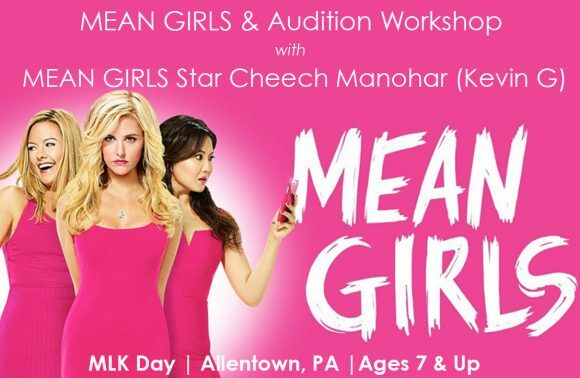 JCC of the Lehigh Valley, 702 N 22nd St.
Join a Broadway Star of MEAN GIRLS, Cheech Manohar (Kevin G), for a MEAN GIRLS musical theatre workshop! Participants will learn a MEAN GIRLS song and dance combo with Cheech who will also host a lively Q&A about his experience in Broadway’s newest smash hit! Even if you don’t want to go pro, Cheech Manohar will offer helpful feedback and coaching on mock auditions and will teach participants how to snag a coveted role in a school, community theatre or professional production! A fun Q&A session will be held with Cheech Manohar! Join a Broadway Star of MEAN GIRLS, Brendon Stimson (NEWSIES, SOMETHING ROTTEN, WEST SIDE STORY), for a MEAN GIRLS musical theatre workshop! Participants will learn a MEAN GIRLS song and dance combo with Brendon who will also host a lively Q&A about his experience in Broadway’s newest smash hit! Even if you don’t want to go pro, Brendon will offer helpful feedback and coaching on mock auditions and will teach participants how to snag a coveted role in a school, community theatre or professional production! A fun Q&A session will be held with the Broadway Star!